ChILD can be stressful and demanding. When you are dealign with the needs of your child, especially on an intensive basis with little support, it can be easy to forget about your own needs. Stress is a natural response to challenging circumstances however, if it is prolonged and you are finding that your mood is changing or have unexplained physical symptoms, please visit your GP or seek professional advice. Please find some basic tips to help yourself keep stress at bay. 2. Connect with Others. ChILD can be isolating; this increases the risk of stress and depression. Getting together regularly with friends and relatives can keep negative emotions at bay. Also, social media can be useful for a quick fix but it cannot beat face to face contact. 3. Ask for help. This can be especially difficult if you have never needed support before. You may find that friends and family will want to help and feel useful. Make a list of things you have to do and ask others to pitch in. For some of the care aspects of chILD training can be given so enable you to have a break. This is where you can book that yoga class, go for a coffee, or run errands. You deserve it! 5. Focus on your feelings. With the demands on caring for a child with chILD, emotions can get bottled up. Emotions takes a toll on your psyche and your physical well-being. Share feelings of frustration with your spouse, friends and family. If you are struggling, please make an appointment with your GP or professional counsellor. 6. Take time to relax. Just by doing something you enjoy, such as reading, walking or listening to music, can recharge your batteries. You may want to consider meditation and/or mindfulness, or deep breathing. If you are religious, then seeking comfort within your faith and prayer may be a great source of comfort. 7. Stay organised! Investing in simple tools like calendars and to-do lists can help you prioritize your responsibilities and appointments. Smartphone calendars and apps can be a great alternative to the traditional diary as they can give you ‘pop up’ reminders. 8. Learn how to say “no!”. Being a chILD caregiver means you automatically qualify for a superhero cape. But at the same time not even superhero’s can do everything at once. It may be tempting, but try to resist the urge to take on more activities, projects or financial obligations than you can handle. If someone asks you to do something that will stretch you too thin, explain honestly why you can’t — and don’t feel guilty! 9. Stay positive! Instead of dwelling on what you can’t do, feel pride on what you can do and what you are doing for your family. 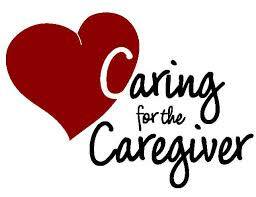 Focusing on the rewards of caring for someone you love and seeing them develop is pretty powerful. Also, do your best to avoid negativity. Conflict arises within many aspects of our lives with family, friends or in your professional life. Try to get things resolved quickly (with mediation if needed) and without drama as this can zap your energy and make you feel bad.